Aoife Allen and Harry Colley from With Relish Podcast will be joined by guests from around Ireland to talk about the sublime and sometimes ridiculous nature of regional foods from each of the four provinces. With Relish is a fortnightly food podcast that looks deep into Ireland’s culinary industry and identity with a focus on the individuals that make it up. This episode will see Aoife and Harry bring the audience through a discovery of what is good, great and slightly weird about our nation’s food culture, past and present. With representatives from Ireland’s four provinces, this roundtable culinary battle should be equally entertaining as it will be insightful. 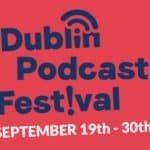 This event will be recorded live in the intimate setting of The Fumbally Stables loft, in collaboration with the Dublin Podcast Festival. Audience participation will be encouraged on the night. 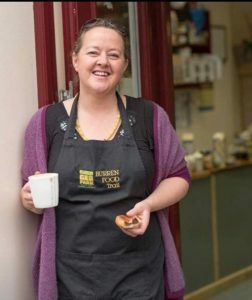 Sinead Ní Ghairbhit is owner of the Cheese Press in Ennistymon, the only shop in the world that only sells Irish cheese. Before opening The Cheese Press, she produced St Tola goats cheese with her sister, Siobhán. 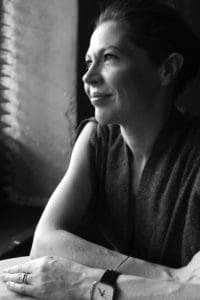 Sinéad is passionate about delicious, quality ingredients and providing a welcoming public space where people can connect over coffee and food. Raymond McArdle is the owner of The Forge restaurant in Co Meath, and has long established himself as one Ulsters leading chefs. 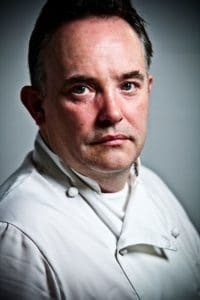 Having grown up on the Co Down coast Raymond’s passion for Ulster’s food identity has stuck with him throughout his career, helping establish himself as one of the regions greatest culinary personalities of the past two decades. 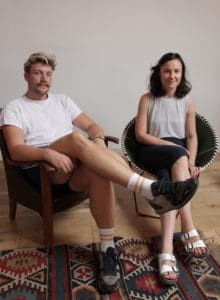 Aoife Allen and Harry Colley are the co-presenters of With Relish Podcast. They met and cooked together for the first time in The Fumbally kitchen and have gone on to do various other food related projects while still keeping one foot firmly on fumbally ground. Harry currently runs the Canteen at Warrenmount Presentation School Dublin 8 and Aoife is undertaking a masters in Gastronomy at DIT as well as teaching home cooking classes at the Fumbally Stables. Joe Macken’s collection of fast casual restaurants have been changing the landscape of how we eat since 2007, with the birth of the original JoBurger . Originally from Slane, Co Meath from a family of hoteliers, Joe’s passion for locally produced ingredients makes him the perfect candidate to represent Leinster for this culinary roundtable. If you are a student, unemployed or recently retired please avail of a 20% discount on this event. Apply the discount code EATITH20 at the checkout. ID will be required on the day.